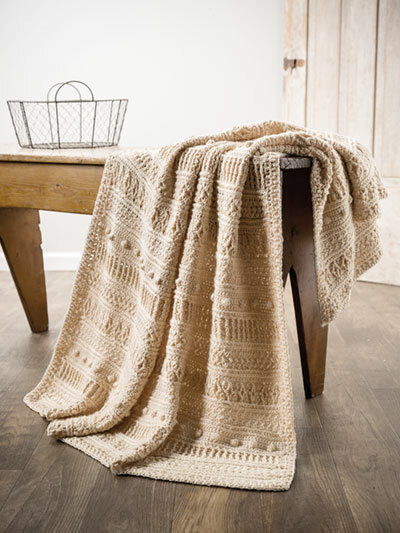 A beautiful afghan that’s full of texture and made for warmth! This pretty afghan mimics the seaman’s thick knitted sweaters made of wool. 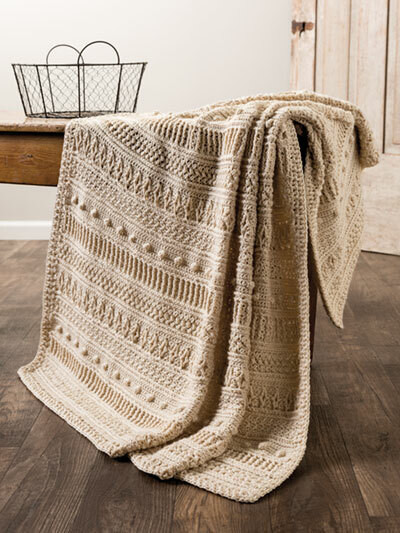 This design is made using 2,255 yds of worsted-weight yarn, but the different special stitches make for a thick and textured piece. Stitches include bean, bobble and split front post treble crochet. Pattern includes written instructions for each stitch. Size: 44"W x 50"L.